UPDATE (4/27 - 12:30 AM) - Chris Davis will be placed on the 15-day DL on Sunday with a strained left oblique. Davis is expected to return once the 15 days are up, which is good news for the Orioles. 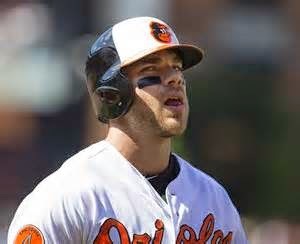 The Baltimore Orioles pulled first base slugger Chris Davis from the game in the 5th inning tonight. Davis suffered a strained left oblique and a trip to the DL is very likely. Hopefully for the Orioles it's not too serious.